TEMPE, Ariz. — The last time Trevor Cahill made an opening day start, he was pitching for the Oakland Athletics. 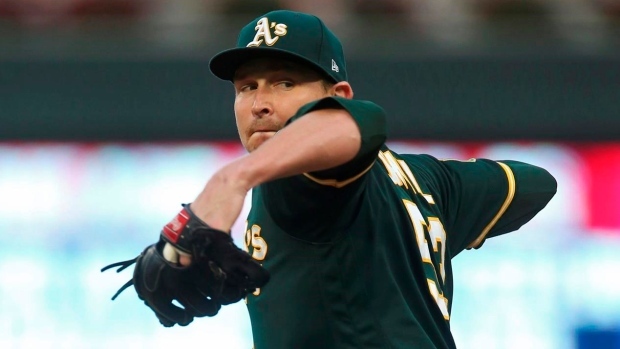 Now Los Angeles Angels manager Brad Ausmus has named Cahill as the opening day starter for the March 28 game in Oakland against the A's. This is Cahill's first season with the Angels. He was 7-4 with a 3.76 ERA in 21 games (20 starts) for the Athletics last year. It will be Cahill's second opening day start — he also did so in 2011 for the Athletics.